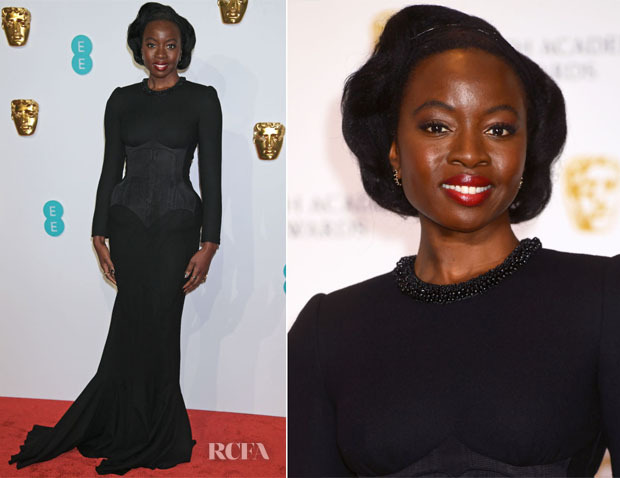 Like Cate Blanchett, Danai Gurira debuted a hair change at the 2019 BAFTAs on Sunday (February 10). The ‘Black Panther’ actress showed off her shape in a custom Thom Browne Fall 2018 gown. The skimming silhouette already revealed her best assets, but the corset and seaming took it a step further and ensured no one would miss the strong hourglass silhouette. The tone-on-tone black colour scheme keeps it supremely elegant and prevents the detailed waist from becoming costume-y. Ara Vartanian jewels brought refined sparkle.